Spectra Nova JA 256/80pl AAA print head was designed for a wide range of commercial and industrial printing environments to produce textiles, packaging, addressing and wide format graphics and it offers a reliable, high performance printing solution delivering resolutions of up to 450dpi. The compact ink jetting assembly of Spectra Nova 256/80pl print head is used specifically for applications requiring multiple jetting fluids and a variety of tightly-packed print heads. 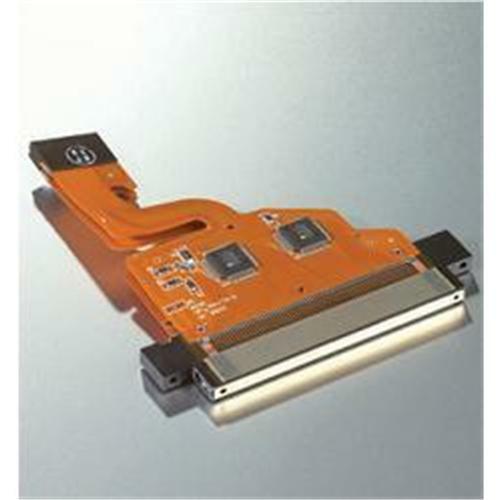 Spectra Nova 256/80pl print head has four electrically independent piezoelectric slices, with each slice containing 64 addressable channels combining to offer a total of 256 jets. Nozzles are configured in a single line with a distance of 0.011” between. At the top of the jetting assembly sit the fluid interface and electrical connection. They can be mounted in various configurations, which allows for incredibly tight packing in the print process direction. Fast changeovers are facilitated by flushing from the dual-ported fluid interface, which allows drying fluids to be displaced by inert fluids in times of inactivity. 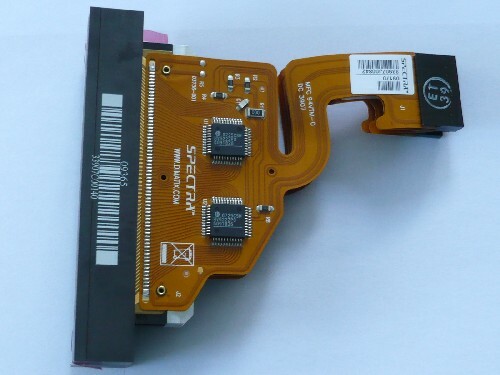 Spectra Nova 256/80pl print head boasts serial-parallel converters used to determine which jets to initiate, with both simultaneous and individual activation possible. The optional Head Interface Board allows users to daisy-chain image data into one serial stream to minimize data interface hardware requirements. The pumping chambers inside each channel in Spectra Nova 256/80pl print head are actuated by a high voltage fire pulse with controlled slew rates.